Part two of our SIA Snow Show 2015 bonanza! (Part One of our SIA Snow Show 2015experience.) Today we’re talking about skis. Only skis. Nothing but skis. SIA Snow Show 2015 skis! We saw quite a few pairs of skis at the Snow Show and got to test some of them at the on snow demo at Copper Mountain. Again, this post will be photo-intensive. Please browse accordingly! We started off our journey with Meier Skis. Meier is a Colorado company that presses all of their skis in Glenwood Springs. They use full wood cores made from beetle-kill wood. The cores are aspen with pine stringers. Meier makes a variety of shapes, from frontside carvers to powder weapons, and has women-specific models as well. 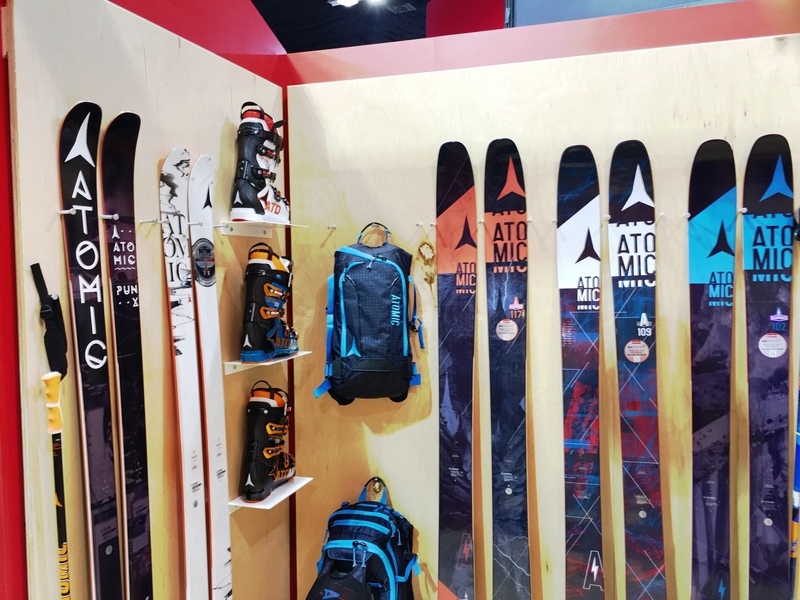 Next, we stopped by the Atomicbooth to check out their powder/freeride touring series, the Automatic. After that, we made our way over to Head to see their reintroduction of the famous Monster line. They added graphene to the construction. Graphene is a Nobel Prize-winning material that consists of carbon atoms arranged in sheets one atom thick. It’s ridiculously strong for its weight. There are 4 ski models for Monster. All have the exact same construction. The only difference are their varying waist-widths. As a result, HEAD has decided to make all 4 models the same price ($800) so that skiers are drawn to the ski that fits just right, as opposed to the most expensive. Monster skis are for the aggressive, advanced/expert all-mountain skier. Hard-charging, very reactive, damp feel, full of energy. We are reusing the name “Monster” from a previous collection of HEAD skis from several years ago, but they are 100% redesigned in construction. Graphene™ is used throughout the Monster collection in all models in addition to 2 layers of Titanal and wood cores. The Noble Prize winning Graphene™ is the lightest, thinnest and strongest (300 times stronger than steel and stronger than diamond) element on the planet. Head revives the Monster name with graphene. We also got to try out a bunch of skis at the on snow demo at Copper Mountain. 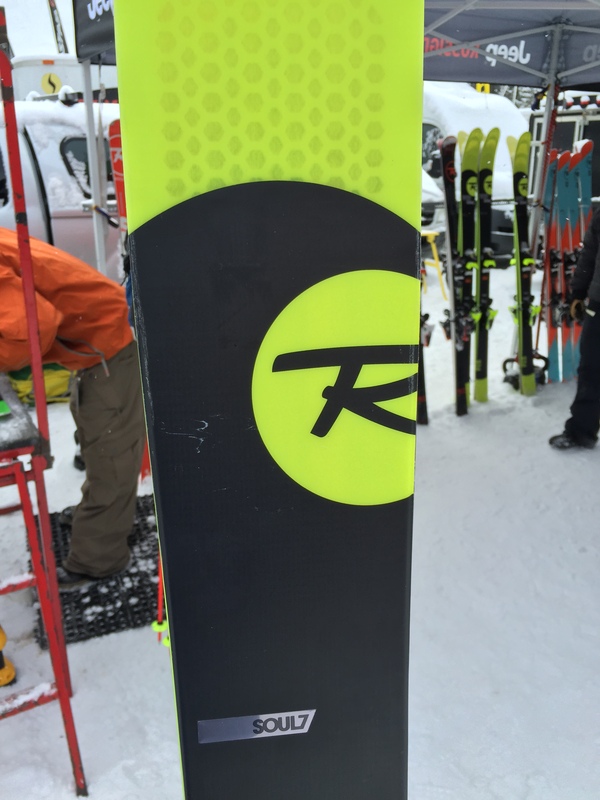 We hear plenty of raves about the Rossignol Soul7 as a one-ski quiver. We found the most appropriate word for it – unoffensive. It’s not a great ski, but it does an adequate job of performing in all conditions. We tried it in some soft snow, made some shorter turns on hardpack, and let it loose on some fast GS turns. It did what it was supposed to do, but didn’t wow us. Next, we stepped into the Wailer 112RPC from DPS Skis. 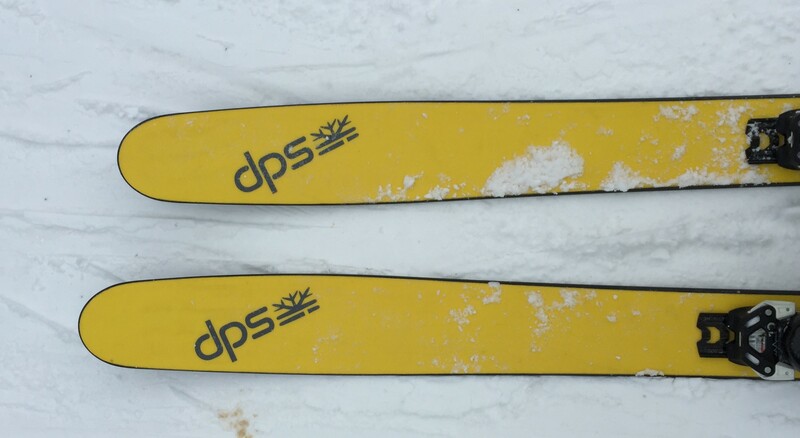 DPS has made a huge name for itself over the last few years with innovations in carbon ski construction. 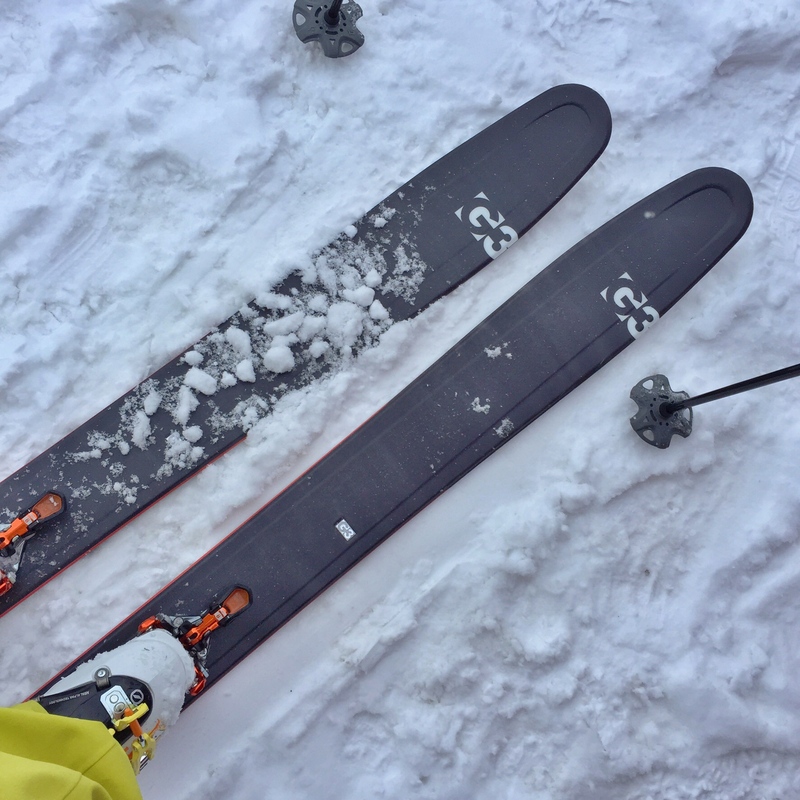 We demoed the Pure3 ski which utilizes prepreg carbon layers with nanotech resins over an aspen wood core. The Wailer excelled in all conditions. It may look like a giant banana, but the shape and construction allow it to hold a solid edge on hardpack, float in the soft stuff, and remain relatively chatter-free when speeds rise. We didn’t have time to compare the Pure3 Wailer to one of the Hybrid models. DPS says its Hybrids weigh more, but don’t sacrifice performance. The Pure3 skis cost $1300 a pair while the Hybrids are more in line with other top skis at $800. After the Wailer, we stopped by Deviation Skis. 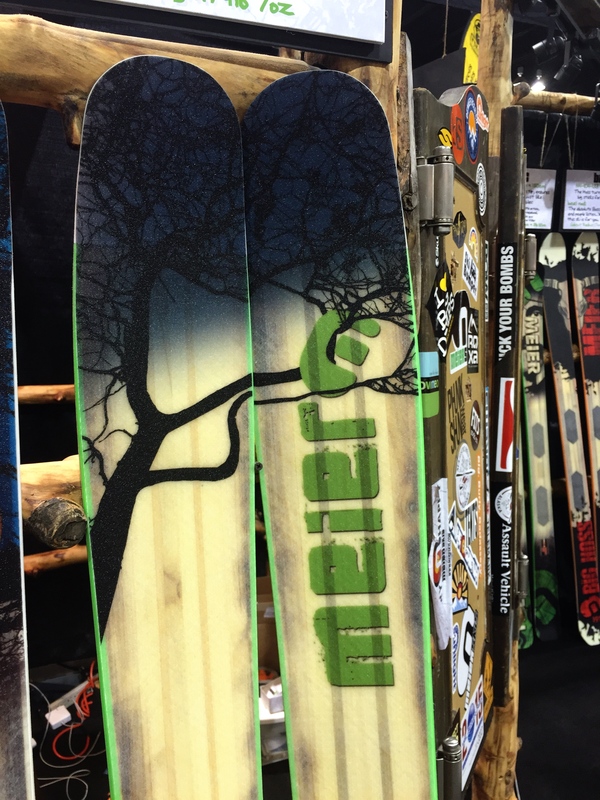 Deviation is a small company out of Oregon that makes both skis and snowboards. They utilize wooden sidewalls in all of their constructions. That, in and of itself, isn’t so special. What is special is that they’re the only company that uses South American Purple Heart wood. Purple Heart is some of the most dense wood on the planet. We were told they build truck beds out of it in S. America. It’s also UV sensitive, so the sidewalls, instead of fading, become a more intense purple color as they age. We wanted to test out their Mode model, but it was out with someone else, so they put us on the Function. It’s an absolute brick shithouse of a ski (pardon the French!). You cannot hesitate on the Function. There are no tentative turns. If you try to give it a little edge, the skis yell back at you, “No! We go fast now!” The Functions are only happy when they’re carving giant, fast turns down a steep slope. If you love bombing, these are your skis. The Deviation Function. There is only one function – down…fast. After Deviation, we headed over to G3to check out their gear. G3 put us on the Empire Carbon ski with their Ion bindings. We’ll have a video review posted about them soon. Suffice to say, they were awesome. 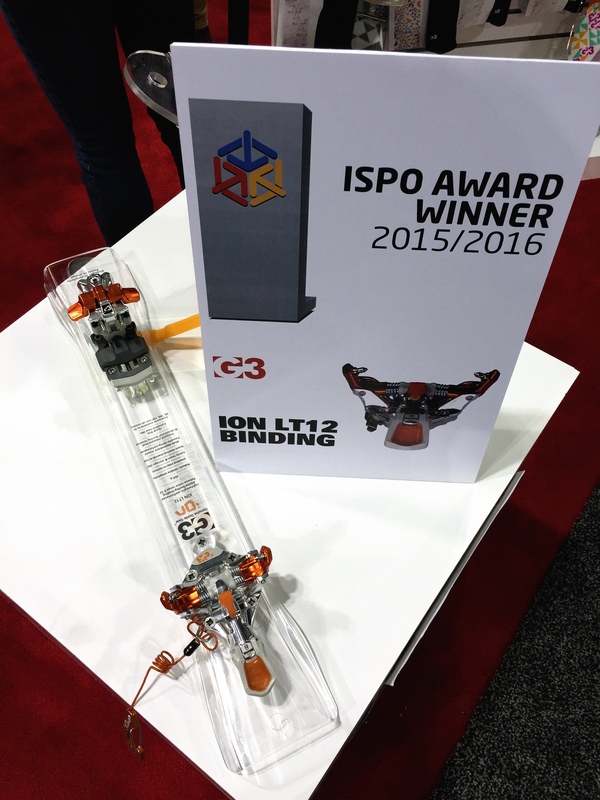 G3 introduced the new Ion LT12 for backcountry skiers who don’t need brakes. 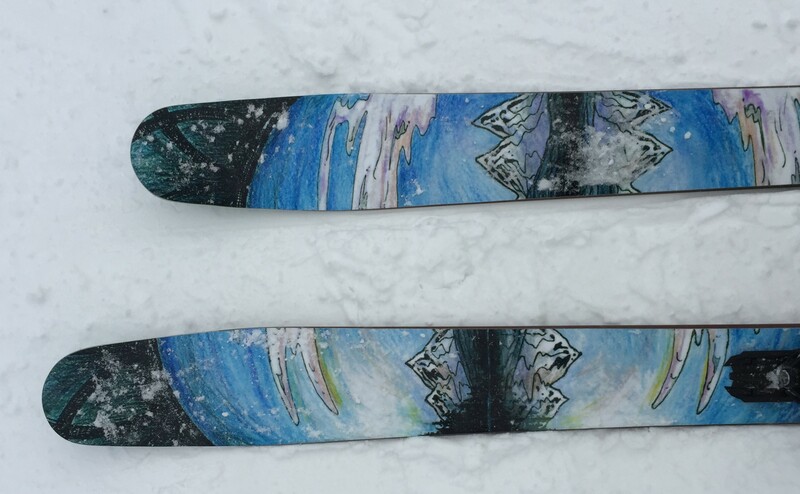 We also put our boots into Black Diamond‘s new lineup of skis called the Boundary series. They designed the Boundary series with the idea that people will be crossing over to both sides of the ski area boundary with the skis. For next season, Black Diamond will offer their tour series – the Carbon Megawatt, Convert, and Aspect – and the Boundary series which will come in three widths – 100, 107, and 115. We tested the 115. We also tested out the Fritschi Vipec bindings and liked them so much we’re buying a pair for a long term test and review! We’ll have our initial impressions video posted soon. We liked them enough that we forgot to take photos! Stay tuned for our snowboard and splitboard post.